With earth heating up and nuclear tensions a hot topic on everyone’s lips in 2017, Doomsday may be closer than ever before. Just like all of those before, anyone that attempts to predict a rapture in the future will likely be forced to accept defeat – just like this next group of would-be prophets. 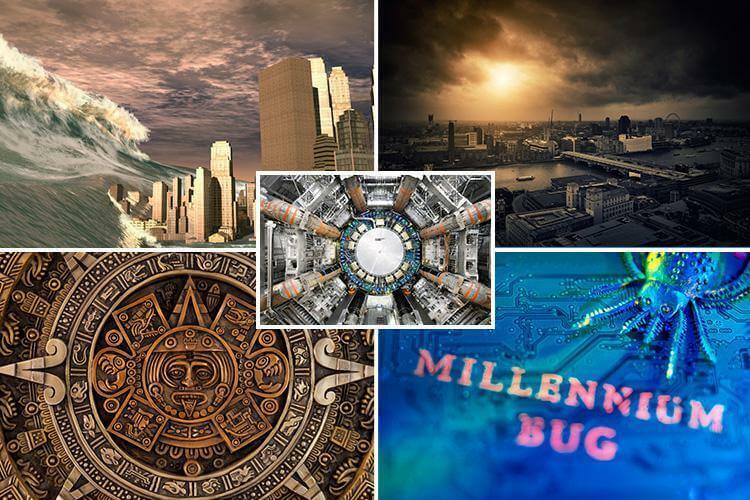 We have put together a list of five of the more recent doomsday predictions that – surprise, surprise – didn’t come true. When this didn’t come to fruition, despite Camping claiming he was “99.9 per cent certain” he was correct, he changed his rapture date to October 2, then for a third time to March 31, 1995. Possibly the most famous doomsday prediction to date, those that believed in the Y2K theory thought that when it came time for the turn of the millennium, the world’s computer systems would crash. Author Richard W. Noone claimed that the earth’s final day would be May 5, 2000 in his book 5/5/2000: Ice, The Ultimate Disaster. The planetary alignment was due trigger a series of natural disasters, kicked off by the disruption of Earth’s polar caps. Unfortunately for Richard, following his failed prediction, ‘no-one’ believed his prophecies again. Concerns reached boiling point when a pair of anxious citizens fired up a lawsuit against the operators of the collider – which required a safety report be submitted before the Collider could be operated. So far, the LHC is yet to produce any black holes… that we know of. December 21st marked the end of the calendar’s first “Great Cycle”, after 5,125 years of continuously tracked time. One man in China was so convinced the world was coming to an end that he spent more than £100,000 to build his very own apocalypse-proof ‘Noah’s Ark’.